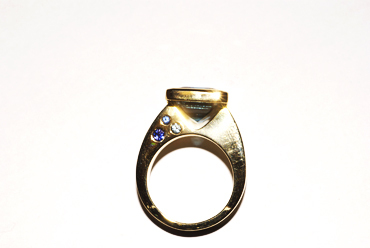 There is nothing like 18ct yellow gold! An order we have just finished for a customer of the cocktail type. 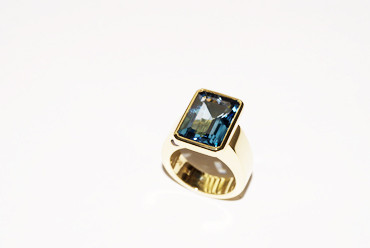 Set with a london blue topaz and small purple and blue sapphires on the side.